About six years ago, before I took up cycling my sister-in-law Tina suggested that I sign up for a fun run to give myself a training goal. At the time I was a recent convert to jogging for fitness (and despite all my cycling I still jog two or three times a week) and had no idea where it would lead me. Tina is a personal trainer and she uses fun runs and other events to encourage her clients to set fitness goals. Well it worked for me, firstly with my jogging, and it has since worked well for my cycling training. In fact at the moment I’m training for the Triathlon Pink which is in October. That was Tina’s idea as well and she’ll be completing it with me as well as my friend Shiona (also a cycling friend) and my other sister-in-law Bec. Because this is a cycling blog I’ll focus on cycling events and their benefits but the same theory can apply to any sport that has public sporting events like swimming, kayaking, walking, running and many more. If you read my story you’ll realise that I actually took up cycling nearly three years ago to participate in a charity bike ride – The Juvenile Diabetes Research Foundation (JDRF) Ride for a Cure that is held in the Barossa Valley, SA in January every year. I’ll soon be training to participate in my fourth JDRF ride but this time I’m upping the ante and have signed up to do 160 km. The first three years I completed the 80 km course. The first time I completed it I was thrilled and amazed at myself. Imagine how I will feel after completing twice that distance! So in coming months I’ll be training hard, doing lots of long rides to get myself ready to ride that distance. I’ll also be feeling good because I’ll be raising funds for a fantastic cause – to find a cure for diabetes. If you’d like to help me out with my fundraising goal of $3,500 please follow this link. At the time of writing this blog my total is $400 so I’ve got a way to go yet. 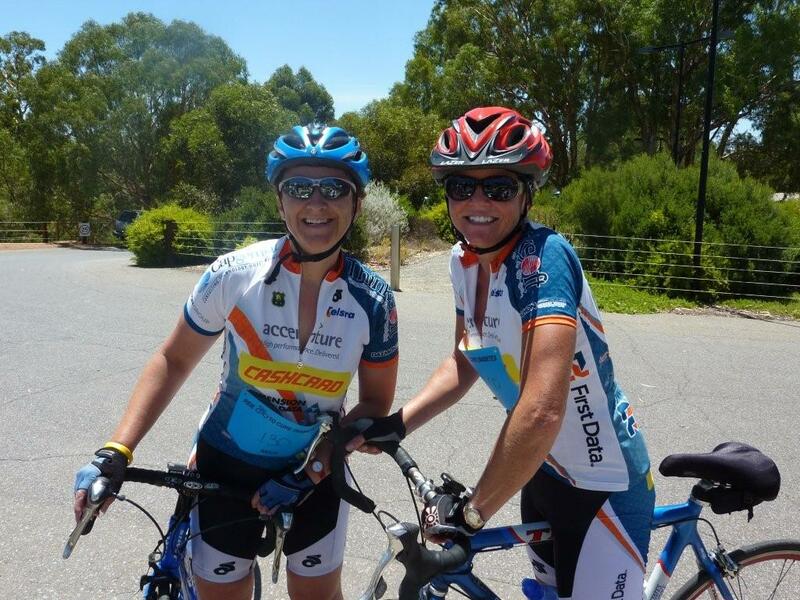 As well as the JDRF ride I’ve participated in many ‘fun’ rides – the Great Ocean Road & Otway ride; the Gong ride (three times); the Spring Cycle (twice); Around the Bay (twice); the Tour Down Under Community ride; Loop the Lake and Ride to Riverstone. Each of them has provided me with a training goal. Most of them I’ve done with friends which means I have some great training buddies – Phillip, Michell, Greg W, Shiona, Stu, Greg D, Bec, Tina, Chan, Nathan and others. An added bonus is that most of the events are attached to a charity so you’re helping a good cause at the same time. When I first started doing these rides I had a lot of trouble convincing myself that they were a good idea. My rational or conscious mind knew that I could ride the distance because in most cases I rode the full distance in training several times before the event. However, my irrational or subconscious mind was less convinced and has certainly led to some terrible night’s sleep before many of these events. All I can recommend to you is to take yourself out of your comfort zone and sign up well in advance before it seems real. I’m the sort of person that never backs down and never pulls out (unless I’m ill or injured) so once I’ve signed up that’s it. There is no turning back and my rational mind knows that if I train enough I’ll be okay. Silly I know, but it works for me. So find yourself an event and get out there. No one will laugh at you no matter how slow you ride. They’ve never laughed at me. No one has ever been anything but supportive. Thank you to all those people who have encouraged me in my cycling particularly my steadfast bestie Phillip. Great article Nic, l couldn’t agree more. I need a goal or an event to keep me focused and getting back out there week after week. My current sights are set on participating in the 2012 Around the Bay in a Day. I did the Pink Triathlon last year too and it’s a great fun event for an even greater cause. Watch out on the swim leg, it’s a little hectic in the pool!! Thanks Bec. I plan to do Around the Bay in 2012 as well. I did it in 2010 and while it’s very long it’s a great event and is a fantastic training goal.